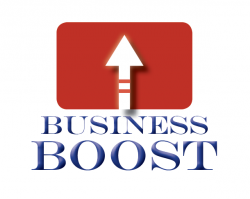 EMPORIA, KAN. – The Emporia Area Chamber and Visitors Bureau will host Your Quarterly Business Boost: How to Network When You Would Rather Stay Home on Tuesday, May 19, from 8:30 – 10:00 a.m. at the Trusler Business Center, 719 Commercial. Join us for the second Quarterly Business Boost with Adrianne Evans and Marsha Sheahan of the Greater Topeka Chamber of Commerce entitled How to Network When You Would Rather Stay Home, on Tuesday, May 19th from 8:30 – 10:00 a.m. at the Trusler Business Center, 719 Commercial. Be a part of these quarterly workshops that will help “boost” you and your business. These workshops will be held in May – August – October.